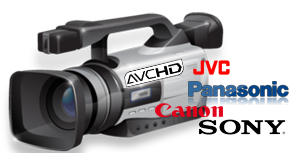 Follow this article, you will learn how to edit Sony XDCAM HD422 MXF videos in Final Cut Pro without any issue. Here something more streamlined than any plugin I supplied is to use Brorsoft MXF Converter for Mac to transcode Sony XDCAM HD422 MXF to ProRes codec for smoothly editing in FCP X/7/6. Besides FCP codec, it also offers the optimized codecs for other NLEs like AIC for iMovie, DNxHD for Avid, MPEG-2 for Premiere and more. If you are a PC user and also wanna get ProRes Codecs on PC, Brorsoft MXF Converter windows version is designed for you. Download the software on computer and follow the guide below to start conversion. Step 1: Click “Add” button to import the XDCAM mxf files. Or you can drag&drop the files into the program directly. Step 2: Go to “Format” column to choose the output formats you want. If you want to edit Sony XDCAM HD422 MXF footage in FCP, you’d better choose Final Cut Pro > Apple ProRes 422(*mov). Tip: You may as well go to Settings page to customize the video/audio settings codec, bit rate, frame rate, sample rate and audio channel for Final Cut Pro easy editing. Step 3: Tap Convert button to start encoding Sony XDCAM HD422 MXF to ProRes 422 for Final Cut Pro on Mac OS X (macOS High Sierra included).